Do You Get Respect From Your Children? Parents frequently complain that they don't feel respected by their children beginning at about age 2 and climbing high into the teens. Complaints range from not being listened to and ignored to being cursed at or yelled at. Those are actions or behaviors that parents interpret as disrespect. Behaviors that parents deem respectful often include saying please and thank you, listening attentively, being grateful to the parent for something they've done for the child, and generally acting in a pleasant manner toward the parent. While parents generally focus on behavior, the actual definition of respect is a positive feeling of admiration or high regard for a parent showing esteem. Respect can be a specific feeling of high esteem for the specific qualities of parents. It's interesting because while the word is used easily in reference to behavior it actually means a feeling. So, if parents seek respect, they need to be inclined to pay attention to the feeling and intention behind the child's behavior to evaluate if they are being respected which is using Parental Intelligence. Respect is Earned or Built Over Time by Open Dialogue. Caring interactions are needed to maintain or increase feelings of respect among parents and children. It's the positive child-parent relationship that includes open dialogue and frequent conversation that leads to a child respecting their parents. When children feel their ideas and opinions are listened to, they are more likely to listen to the directions, instructions, and wishes of their parents. Listening to each other creates mutual respect. Parents are busy people organizing their kids activities, preparing meals, doing laundry, caring for the yard, working outside the home and any number of chores that I'm sure you can think of. But taking the time to spend alone with each individual child to get to know them very well leads the child to respect the parent because they feel attended to in a significant way that they are grateful for. When these parents talk to their children, they earn their children's respect. Some parents are frustrated when the rules of the house are disobeyed are ignored. They feel disrespected. However, if time is taken to explain the purpose of the rules that are made for the child's benefit out of love for the child, the rules are commonly followed and the parent is respected. Including children in rule making is often a helpful practice for children to learn the purpose of rules. This collaborative rule making also strengthens children's respect for their parents. 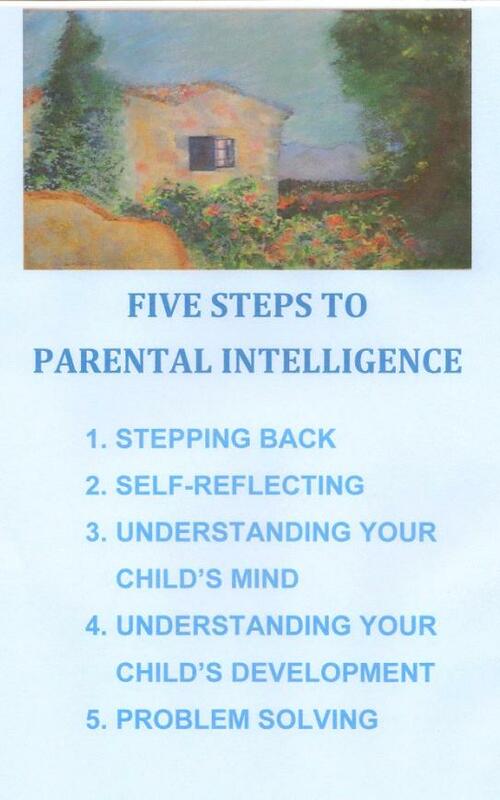 When parents follow the steps of Parental Intelligence such as Understanding Your Child's Mind and Collaborative Problem Solving children respect their parents' guidance and appreciate feeling heard and considered. Learning what your child's "disrespectful" behavior means by discussing it in an open-ended, non-punitive way leads children to begin to articulate the meaning behind their behavior. Soon the underlying problems hidden behind the behavior are revealed and then parent and child can put their heads together to solve those more important problems. The children begin to be able to say what they at first couldn't explain and thus resorted to misbehavior. You will probably find if you understand your child's actual intentions and wishes that he, in turn, will respect your ideas and wishes. This is a new idea for many parents who expect that because they are the authority and do indeed have the years of experience and wisdom, that they should automatically have respect. But it's the parent-child tie that leads to children's respect. Remembering that respect is about a child's feelings of admiration for a parent changes the picture considerably. Enjoy that respect and enjoy your child! Laurie Hollman, Ph.D. is a psychoanalyst with a recent book, Unlocking Parental Intelligence: Finding Meaning in Your Child's Behavior found on Amazon, Barnes and Noble, Familius and wherever books are sold.